Apparently going commando is the hot new trend for men in Hollywood. I say it's about time because I'm tired of just seeing Britney & Lindsay's business. Jamie Foxx was snapped at his 40th birthday party and JustJared caught Ricky Martin going through security @ LAX. 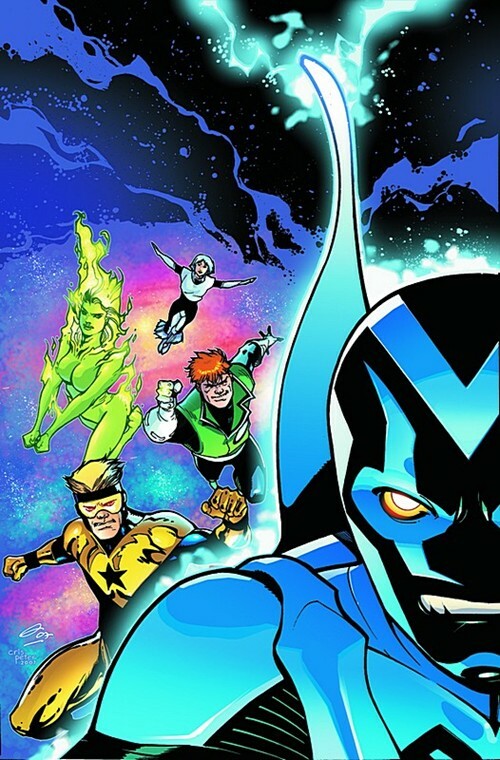 I looks like we can look forward to a mini JLI reunion in next March's Blue Beetle #25. I've really liked Ice's recent appearances in GLC and Checkmate and can't wait to see these heroes together again. When Jamie F. first hit the scene as a comedian, I did not find him the least bit attractive. But these days I just want to jump his bones! What a Foxx! This page contains a single entry from the blog posted on December 18, 2007 7:13 AM. The previous post in this blog was markus4u. The next post in this blog is Fratmen: Max & Payne.